We often receive questions from our patients. We’ve collected some of the most common in an effort to help others who may have the same, or similar, question. For example, new patients with diabetes often want to know what they should bring with them to their first appointment – in addition to the usual insurance card, doctor referral, etc. As you’ll note in the first FAQ below that we recommend diabetic patients bring their glucometer, blood sugar readings for the previous two weeks, and any other supplies or snacks necessary for a visit expected to last 2 - 3 hours. Of course, you can always contact us directly with any question you may have about our medical services, or our weight loss program, on-site services, or participation in clinical trials. Call Diabetes and Endocrinology Associates of Stark County, Inc. at (330) 493-0013 or use our convenient appointment request form. Blood sugar readings from at least the last 2 weeks; please make sure the time and date are accurate on the meter as well as on the blood sugar record sheets prior to your visit. Reserve about 2 hours. The first 45 minutes to 1 hour will be spent with one of our certified nurse practitioners before you receive an evaluation by Dr. Krishna. Thereafter, blood draws or other tests may be performed. Additional time may be needed for diabetic education or insulin/blood glucose meter instructions. If you have not already completed our patient forms, please arrive 15 minutes prior to your scheduled appointment time to complete the registration process. We would also appreciate a call if you are running late. One of our qualified nurse practitioners (NP) will spend the first 45 minutes to 1 hour with you. This visit is intended to assess your current diabetes management and to introduce you to how we manage diabetes in our practice. There are many different ways to correctly manage diabetes; we want to make sure we are all on the same page. The NP will review your blood sugar log sheets or reports you brought with you, and/or run reports from your glucose meter, insulin pump, and/or CGM. The NP will discuss your history and diabetes management with Dr. Krishna. Dr. Krishna will then meet with you to obtain any further history that is needed and to perform an exam. He will review your blood glucose patterns with you and will make any necessary insulin dosage adjustments. Dr. Krishna will then review any lab work that has been done and assess your need for further testing. Depending on his evaluation, Dr. Krishna may order additional tests, which will often be performed on the same day as your first visit (if your insurance allows). In most cases, Dr. Krishna will send the diabetes management plan the two of you decide on to your referring physician the same day as your appointment. Please do not hesitate to ask questions at any point during the appointment. No. 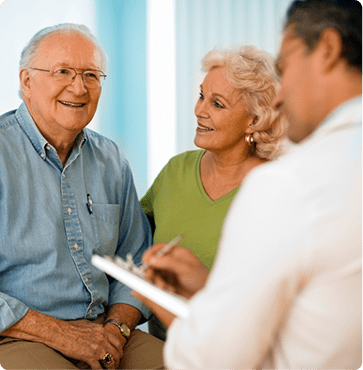 During follow-up visits, you will be seen by one of our providers as scheduled for 15-20 minutes, depending on your endocrine problems. However, additional time may be needed due to the complexity of your issue, or if tests are ordered to be performed during the visit. How often do I need to see Dr. Krishna? Diabetes follow-up visits are scheduled once every three months. If your diabetes control is worsening, Dr. Krishna will likely ask to see you more often. For some stable endocrine conditions, you may only need to be seen once every 6-12 months. Many over-the-counter medications say to call a doctor before using if I have diabetes. Are these medications OK? Yes, the amount of carbohydrates in most oral medications is minimal and therefore we have no concerns regarding their use. Choose sugar-free cough syrup whenever possible if you are diabetic. Topical medications are fine, too, unless you have known circulation problems. Call us at (330) 493-0013 if you have any questions. Most insulin pens and vials that are in use need to be disposed of after 30 days, per manufacturer directions. However, some may be used for up to 8 weeks, pursuant to the manufacturer. Insulin efficacy will decrease after the period of time specified by the manufacturer. Consult the medication package insert for the manufacturer guideline for your insulin. What if I accidentally missed or mixed up my insulin? This is a common mistake. Once you realize you missed a dose of insulin or injected the wrong kind of insulin, check your blood sugar often and call Dr. Krishna at (330) 493-0013 for advice. What if I have several low blood sugars in a row? If your blood sugar is still low after 2-3 treatments for hypoglycemia, please call Dr. Krishna at (330) 493-0013. Sometimes I wake up in the morning with abdominal pain and/or headaches. Should I be concerned? Morning abdominal pain or headaches can occur as a result of overnight low blood sugars. If you are experiencing these symptoms, be sure to check your blood sugar between 2 am and 3 am for a few nights to rule out overnight hypoglycemia. How do I manage diabetes when I don’t feel well? If you have type 1 diabetes and are feeling ill, be sure to check for ketones frequently, either with a urine test strip or blood ketone meter. Continue checking blood sugars just as you normally would (before meals and at bedtime). Blood sugars will typically be elevated when you don't feel well, but as long as your ketones are negative or trace, we don't recommend adding any extra insulin. If ketones are present, refer to your sick day management plan and call Dr. Krishna at (330) 493-0013 with any concerns. What if I am ill and don’t feel like eating? If you have diabetes mellitus type 1, then it is most important to continue taking at least your long-acting or basal insulin, even if you are not eating. Without insulin, you can quickly develop ketoacidosis. If you are on a long-acting insulin, give yourself the full dose. However, you will likely need to decrease your short-acting insulin dosage if you are not eating as many carbohydrates as usual. If you're unsure of how much insulin to give yourself, call us at (330) 493-0013 so we can help. Stay hydrated by drinking plenty of water and, if you have type 1 diabetes, check for ketones every time you urinate (or every few hours with a blood ketone meter). If ketones are present, refer to your sick day management plan and call Dr. Krishna at (330) 493-0013 with any concerns. What do I do if I am vomiting? Try drinking small amounts of fluid infrequently, gradually increasing the amount you can keep down. Clear liquids like Gatorade or even popsicles are good to try. Large amounts of fluid will often lead to nausea. If you can’t tolerate even small amounts of fluids, then call us at (330) 493-0013. Follow your blood sugar levels closely. Call us at (330) 493-0013 with any concerns. If you have type 1 diabetes, check your ketones every time you urinate (or every few hours with a blood ketone meter). If ketones are present, refer to your sick day management plan and call Dr. Krishna at (330) 493-0013 with any concerns. When ketones are present in greater than trace amounts, you will need additional fast-acting insulin (i.e. Humalog®, Novolog®, Fiasp®, or Apidra®). The presence of ketones can quickly lead to diabetic ketoacidosis, which is a very serious condition. Call Dr. Krishna immediately at (330) 493-0013 for guidance. What makes this weight loss program special? This program is revolutionary because it ensures that you lose the right kind of weight – fat instead of muscle. This is especially important for diabetic patients who are trying to manage their condition using fewer meds. The program is medically supervised, so it is safe for patients with a variety of endocrine conditions or diseases. Dr. Krishna will evaluate your health history and current management of diabetes to assess whether you are a good candidate for this program. He will determine your fat-to-lean muscle mass and metabolic rate and create a customized plan. If you’re interested, call us at (330) 493-0013 or let us know by completing our online appointment request form. Can I do this program on my own? No. Cornerstone Wellness is a safe and effective program, but it is only available in your doctor’s office. In order to be medically sound, especially for diabetic patients, it requires that your condition be monitored throughout your participation in the program. Will insurance pay for this program? It will depend on your insurance plan and the medical conditions for which the weight loss program is being prescribed. Another convenient option is the very affordable self-pay plan. How long you are on the program will depend on your health issues, current weight, and weight-loss goals. It will be different for every participant. There is an initial, detailed evaluation, a follow-up about 2 weeks later, then visits to the office about once a month. Clinical trials are research studies to test the effectiveness of new drugs, treatments, or medical devices on human volunteers. A clinical trial is required before a new treatment or intervention can be marketed in the US. The Food and Drug Administration regulates clinical trials. You get to try new drugs, devices, or other interventions that are not yet available to the public. In some cases, you may be eligible for a stipend, or transportation assistance, depending on the conditions of the trial. Your participation also means that you are helping others by contributing toward the mission to find better diabetes treatments for people like you. What kind of clinical trial is appropriate for me? It will depend on your current health and state of your diabetes management. You will need to discuss possible participation in a clinical trial with Dr. Krishna to ensure it is appropriate for you. Call us at (330) 493-0013 to discuss the matter with Dr. Krishna or ask him at your next visit. Protocols are the rules of the clinical trial, governing how it will be conducted, medications to be used, potential risks and benefits, and how data will be captured. Please contact one of our clinical research coordinators – Brandi Kerr or Karen Esposito – to find out if you're eligible for any of the actively recruiting trials at our site. Call Brandi at (330) 493-0013, ext. 106, or Karen at (330) 493-0013, ext. 112. You may also let us know of your interest by completing our online appointment request form. Can I drop out if I don’t like it? You have the right to drop out of a clinical trial at any time. Generally, when the clinical trial is over, you will stop taking the medication or treatment being tested. However, all trials are different, and sometimes patients may be allowed to remain on the treatment if they are responding well to it, and if it is safe to do so. Dr. Arvind Krishna of Diabetes and Endocrinology Associates of Stark County, Inc. recommends the following patient education resources. They are for your reference only and are not meant to be a substitute for discussing medical concerns and treatments with Dr. Krishna. For more information, or to make an appointment at our endocrinology office in Canton, Ohio, please call (330) 493-0013 or you can request an appointment online.